On land, at sea or in the air, the Elite mattresses and beds are suitable for all sleeping spaces; whether they are convertible solutions for mobile homes or yacht cabins, or built into the narrow bow of a sailboat, Elite mattresses and toppers are adaptable to all situations. CUSTOM-MADE SIZES Elite mattresses and toppers are available in all sizes and can be made to measure. Please contact us for a specific quote. MATTRESSES Holidays, travels and adventures are combined with Elite comfort and well-being! 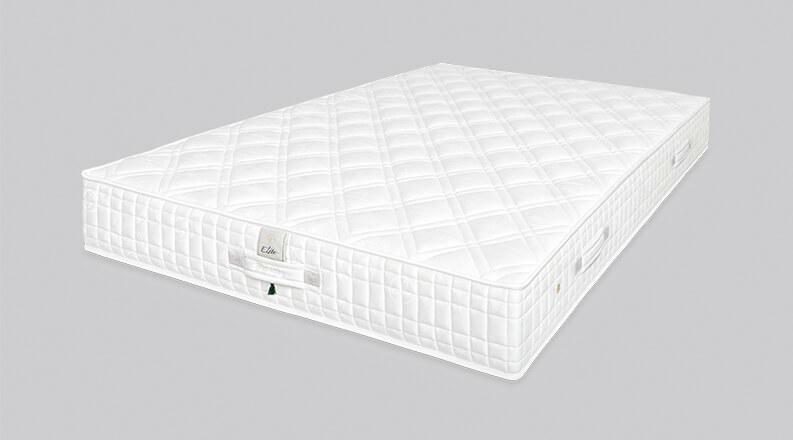 Elite mattresses and toppers are available in all sizes and can be made to measure. Please contact us for a specific quote. Angular, straight, rounded or bevelled cuts; Elite adapts to all spaces according to your needs. When you have tried Elite comfort, it is difficult to live without it, even on holidays. Holidays, travels and adventures are combined with Elite comfort and well-being! 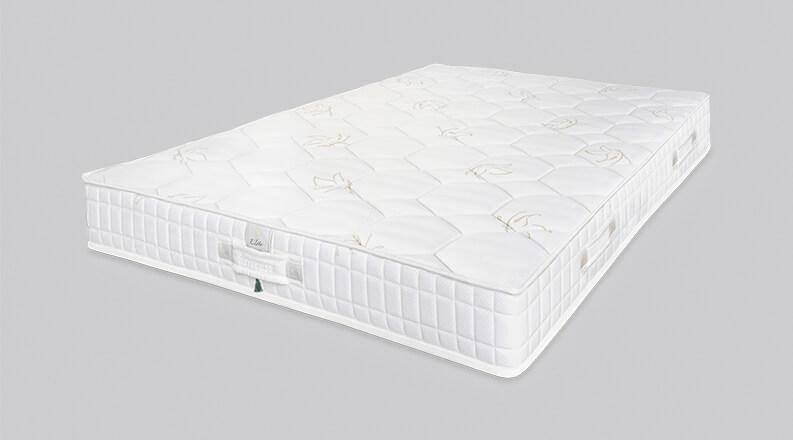 This latest generation mattress provides incomparable comfort. 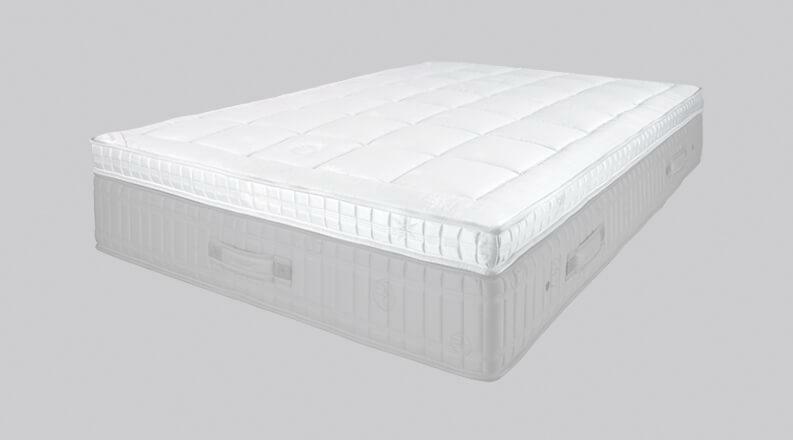 The unique Duoflex suspension technology ensures, thanks to a progressive compression of the pocket springs, an exceptional comfort and softness on the surface while guaranteeing a firm perfect support of the vertebral and lumbar column. The 7 comfort zones help relieve excessive pressure in sensitive areas of the body such as the neck and cervical, shoulders as well as of course the hips. The core of this model is composed of 1,350 micro-springs per m 2. The impressive number of these micro-springs is the secret of great flexibility, starting by an adaptation to the most demanding morphologies. This very high level technical system provides both a soft reception and uncompromising back support. The seven comfort zones are controlled with appropriate pressure in the most sensitive areas: neck, pelvis and legs. The shoulder area benefits from a combination of 3 different types of springs for an even softer reception. 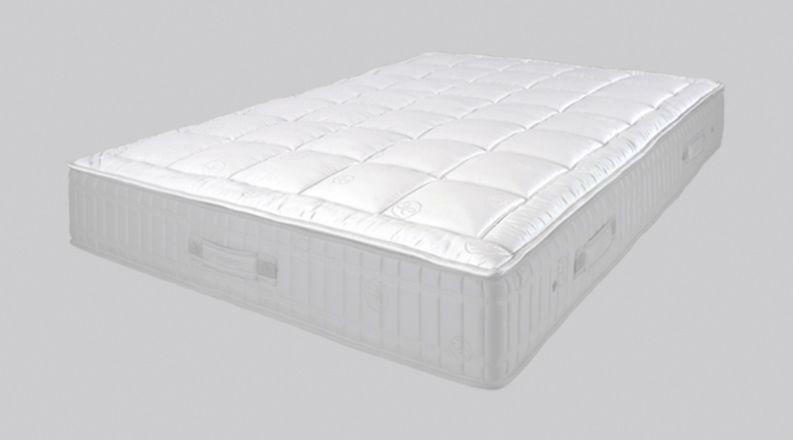 The exceptional support of this mattress promotes blood circulation and therefore cellular regeneration. Production quality and excellence. The SoftTouch springs winding technique as well as an ingenious combination of springs of various diameters provide a soft surface and a progressive suspension. 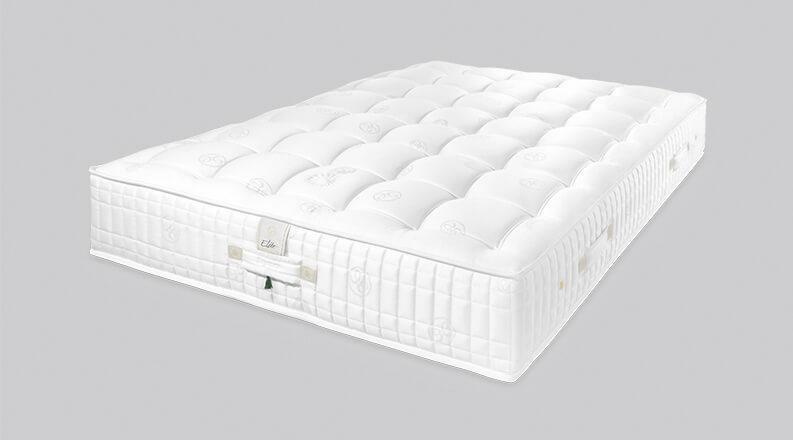 By assembling all the springs of their trade, your sleep artisan has made you more than just a mattress; it is piece of furniture ensuring excellent spinal support, in particular in the lumbar area, and very good sleeping independence. Never feel like you are sleeping on the floor again! 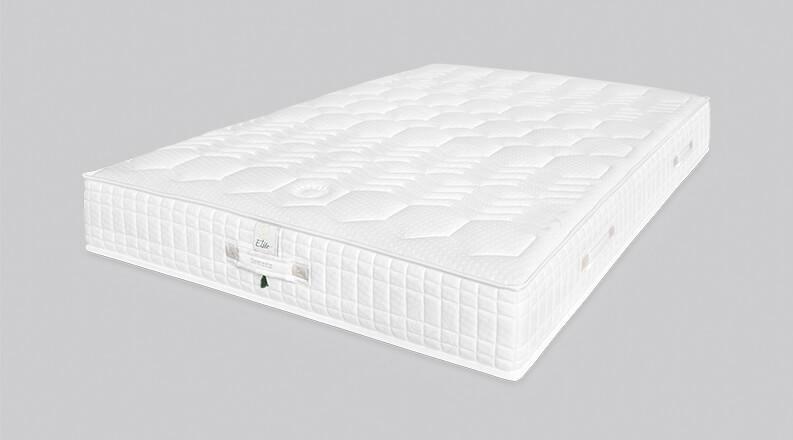 This mattress is designed with a core of high quality Evopore foam that ensures optimal adaptation, point by point, ensured by its five comfort zones. 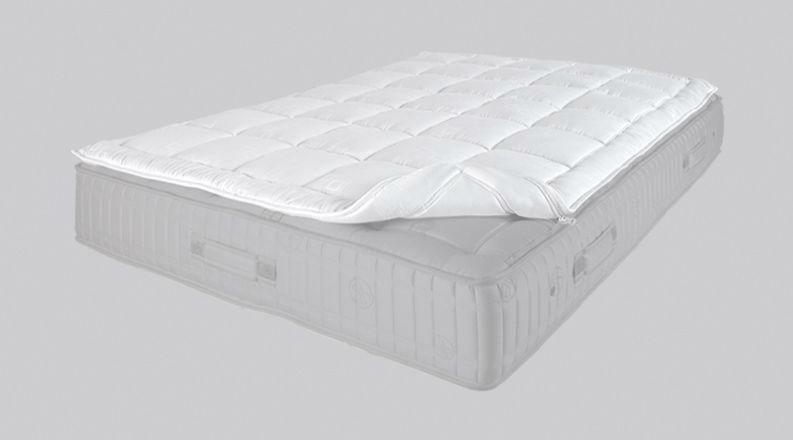 It provides excellent back and lumbar spine support resulting in quality sleep. Its 100% natural padding made of virgin lamb's wool, Lyocell fibres and corn fibres ensures the constantly suitable atmosphere of the Corsica. This evocatively named mattress aims to transport you in a completely weightlessness state for optimal relaxation. 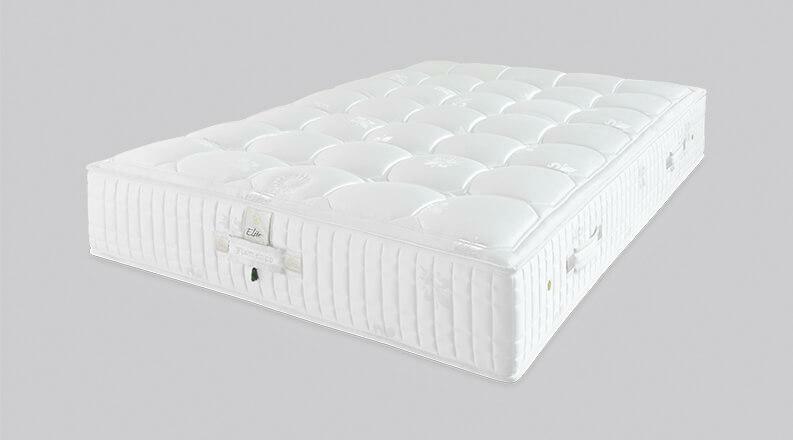 Its viscoelastic memory foam core memorises the morphology of the sleeper using their body heat. Salento ensures each one of a couple is provided with a harmonious anatomical fit and pressure distributed over the seven comfort zones. Its 100% natural padding includes virgin lamb's wool and Tussah silk ensuring perfect thermal regulation. Home! 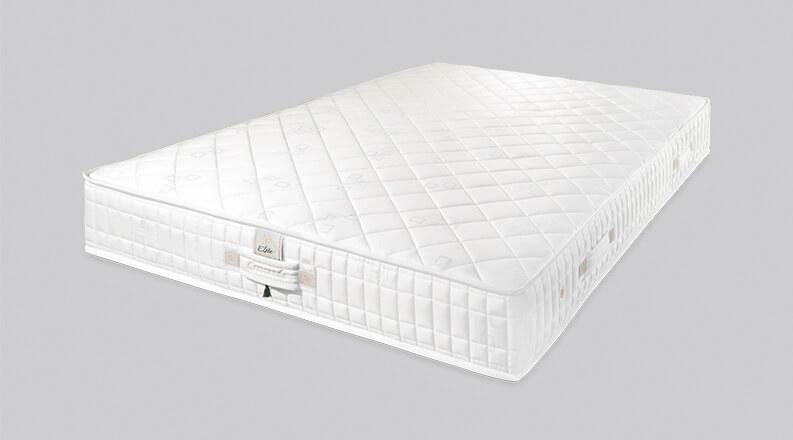 Treat yourself to the luxury of a pocket spring mattress. The Andalousia mattress is designed to combine softness, cosiness and tone. The core of this mattress is made up of more than 320 pocket springs per m2. This impressive spring density instantly and permanently distributes body pressure across the five comfort zones to ensure optimal sleep quality and sleeping independence, even over a small surface, like sleeping on a cloud. Its 100% natural padding is made from a combination of pure virgin sheep's wool, cotton and Tussah silk for perfect thermal regulation for any season and in any region. The properties and thickness of the virgin wool padding lighten pressure on the more sensitive areas of the body and facilitate blood circulation. The Alaska mattress topper will help fine tune the comfort of a firm bed. Fully lined with Tussah silk, this mattress topper provides a cool reception to those who need relief from night-time heat waves. Its core of very flexible mini-springs provides unparalleled comfort. The softness of its first contact feels like being on a cloud. The balancing effects of the active Seacell fibre on the body, subtly mixed with Tussah silk reinforce this feeling of well-being and softness. Come to meet us in one of our Elite Gallery to discuss your project and the best way of carrying it out.